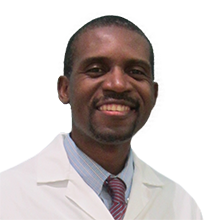 Dr. Rools L Dessieux , grew up in North Miami Beach, FL, completed his undergraduate studies at University of Florida and graduated from Meharry Medical college in Nashville, TN. He completed a General Practice Residency at St Mary’s Hospital, Waterbury , CT, followed by a Hospital Dentistry at Waterbury, Hospital in Waterbury, CT. He Completed his Oral & Maxillofacial Surgery at Howard University in Washington, DC. He is the clinical director or the oral surgery program at Waterbury Hospital. Dr. Rools Dessieux, has a warm, gentle manner which goes along with his great caring and concern for all of his patients. Dr. Rools Dessieux performs surgical procedures such as wisdom tooth extraction.